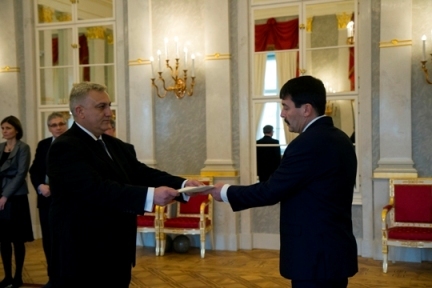 The newly appointed Ambassador of the Republic of Serbia to Hungary, His Excellency Ivan Todorov, presented his credentials to the Hungarian President, His Excellency János Áder in Sándor Palace in Budapest on 17th December 2018. Following the ceremony, Ambassador Ivan Todorov gave a short speech, in which he stressed his full committment to maintain good bilateral relations betwen the Republic of Serbia and Hungary. 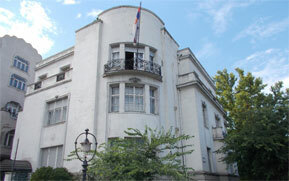 The Embassy of the Republic of Serbia in Hungary announces an invitation to the tender for the provision of real estate sales services for the sale of former Yugoslav diplomatic real estate in New York (2), Tokio, Bonn and Bern. Additional documents for the participation at the tender: Tenderer Information Sheet, Tender Bond (guarantee), Performance Bond (guarantee). Commemorative gathering on the occasion of 20th anniversary of NATO bombing against Yugoslavia, 26th March 2019. On the 26th of March, in Embassy of the Republic of Serbia in Budapest was held an commemorative gathering on the occasion of 20th anniversary of NATO bombing against Yugoslavia. For the representatives of the Military Attaché Corps and Serbian institutions and Serbian Orthodox Church in Hungary was showed a movie about NATO bombing against Yugoslavia. Every year, March 24th, Serbia organize commemoration for the victims of NATO bombing and remembers victims from that and other wars in the past. On the 18th of February, in its Embassy in Budapest, the Republic of Serbia in Hungary celebrated the National Day and Armed Forces Day. The celebration was attended by the representatives of the diplomatic corps, the corps of military attaches, high representatives of the political and cultural life of Hungary, representatives of the Serbian institutions and Serbian Orthodox Church in Hungary, City Hall dignitaries, and many others. The Ambassador of Serbia, H.E. Ivan Todorov, greeted the National Day to the Serbian community in Hungary, expressed his satisfaction with the actual state of relations between Serbia and Hungary, and thanked all the guests for the time they find to come to the Serbian Embassy to celebrate that special day for Serbia and its citizens.